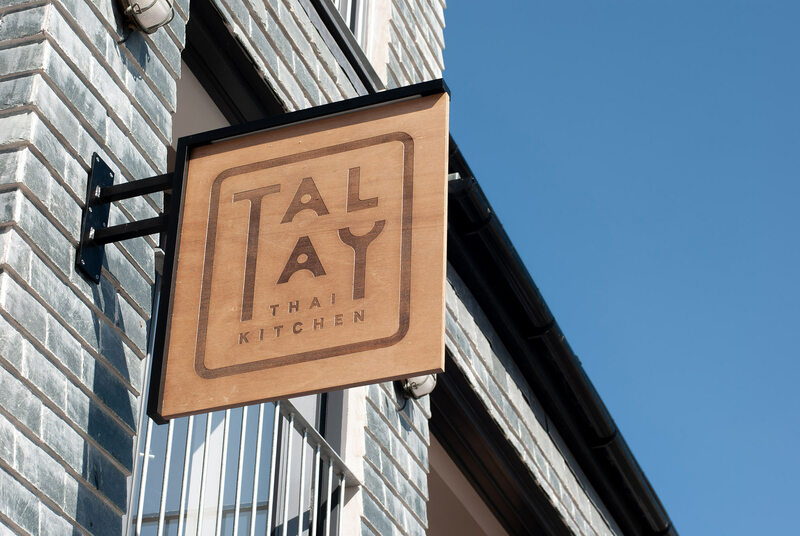 Talay Thai restaurant offers an authentic taste of Thailand delivered in a modern style to locals and visitors to St Ives. 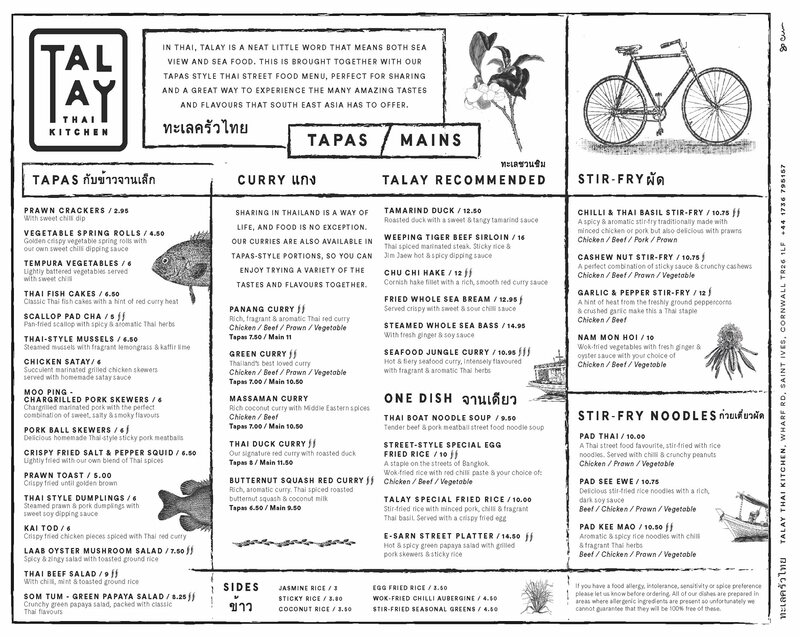 ‘Talay’ in Thai means both sea view and sea food, both of which can be found at this spectacular new eatery. 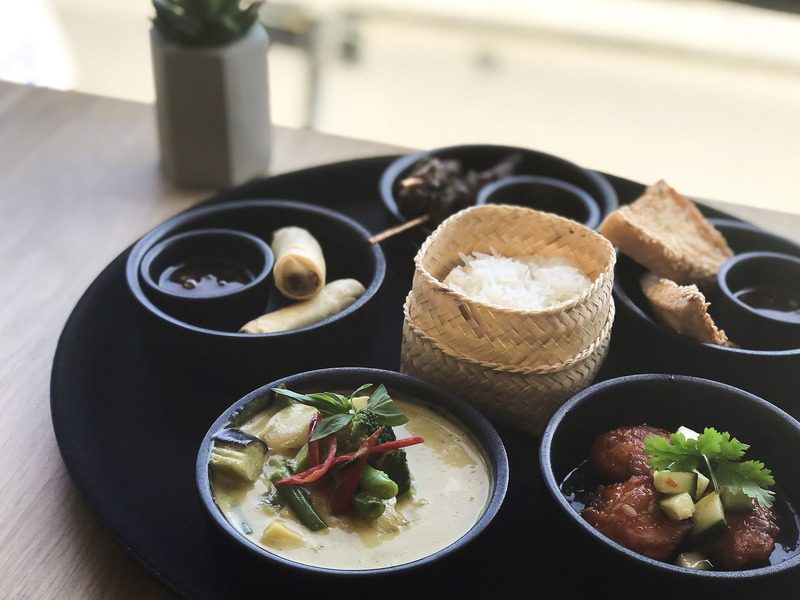 With panoramic views of the iconic St Ives Harbour, you can order authentic Thai dishes and modern cocktails, wines and spirits. 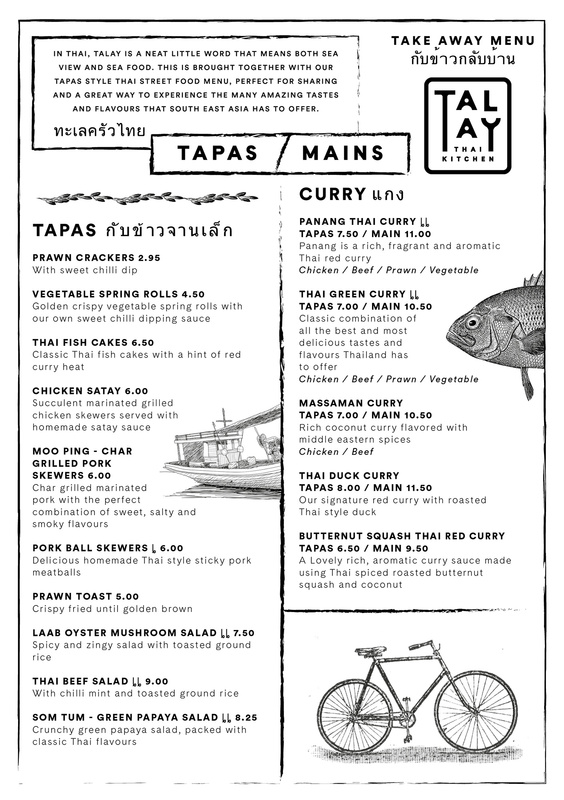 A project in the planning for 18 months, Talay Thai is housed in premises which used to belong to a long-running fish and chip restaurant on the harbour front. A full refurbishment included a brand new open kitchen and set of windows that capitalised on the view across the Harbour. 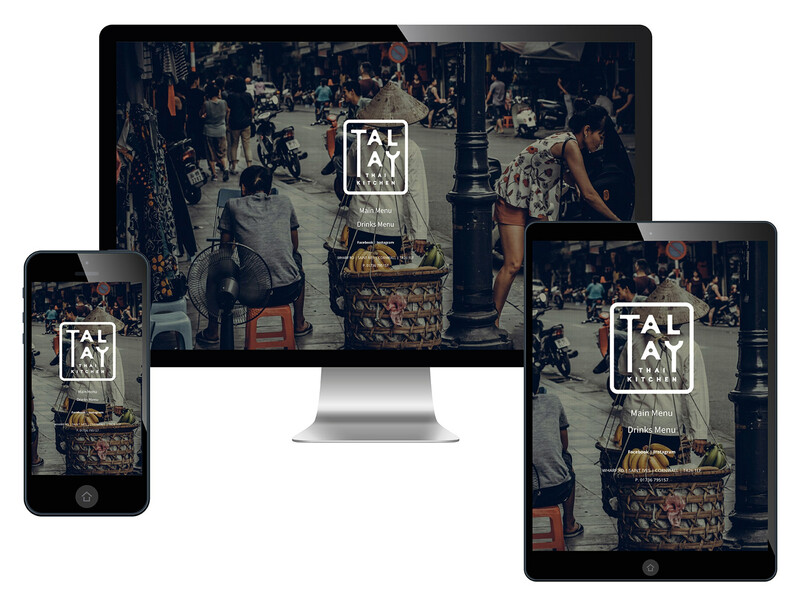 Working closely with the owners and restaurant manager, we designed and developed a new brand: including menus, signage, window decors and a basic website with all the essentials on one page. For the bespoke menus we specified a FSC and Euro Eco award wining uncoated textured paper. 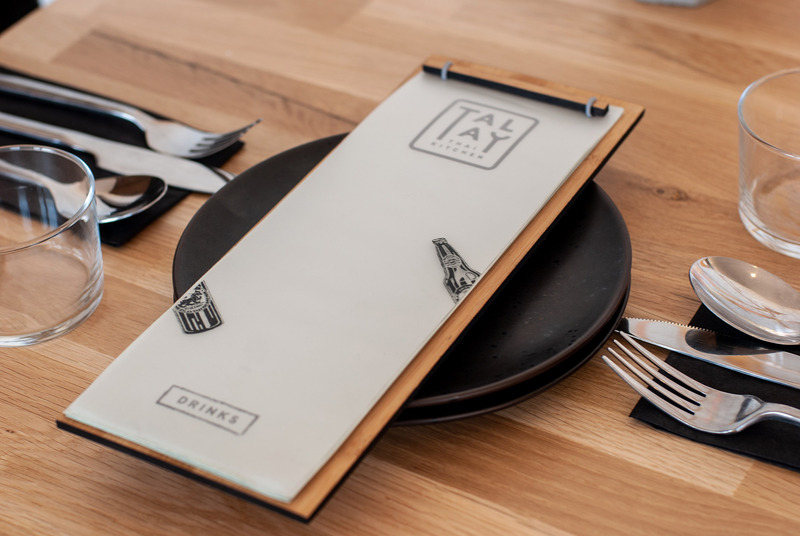 They were bound and placed on sustainable Bamboo boards – chosen for its fine grain and smooth finish; then laser etched by local Penryn based, Cut by Beam. Jenny also produced our striking laser cut signs which are subtle and complement the slate front of the building. 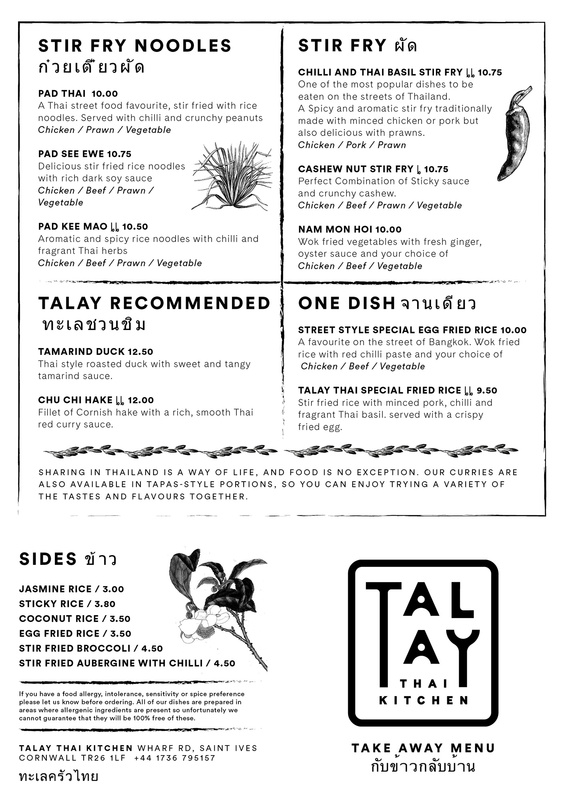 If your looking for something to spice up your summer, we highly recommend you pay Talay Thai Kitchen a visit!